1475½ W. Washington Blvd. Los Angeles. 6255 Langdon Ave. Van Nuys. SELECTIVE 1X reviewed in BILLBOARD June 1949. 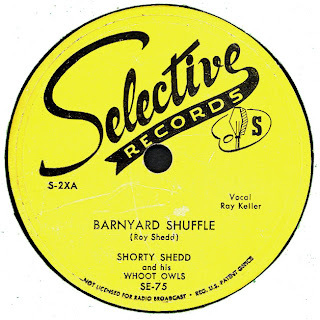 BILLBOARD review dates - source: Bill Daniels “American 45 and 78 RPM Record Dating Guide, 1940 – 1959” / Label address – source Galen Gart’s ARLD. Hear "Jesus Hits Like The Atom Bomb"